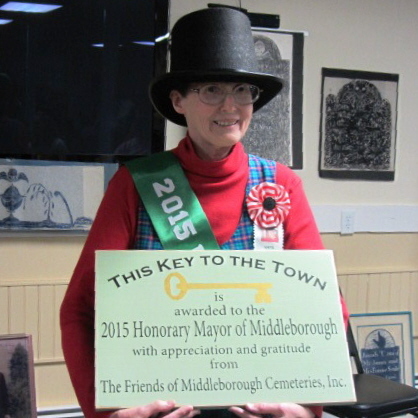 The Inauguration was moderated by Subcommittee Chairman Paul Provencher. He introduced all of the candidates and talked about them and their Honorary Deputy Mayor running mates. He thanked all of the sponsors of the Fundraising Election. President Chip Mangio spoke a bit about the Friends of Middleborough Cemeteries. 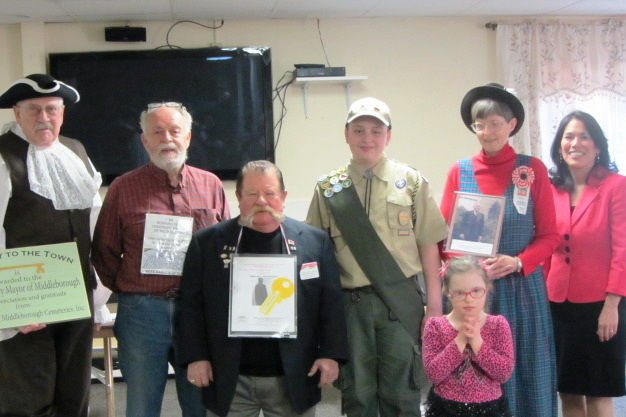 Candidate and Director Jeff Stevens did a slide show presentation about Headstone Cleanings and our Civil War Veterans Headstone Cleaning Project. 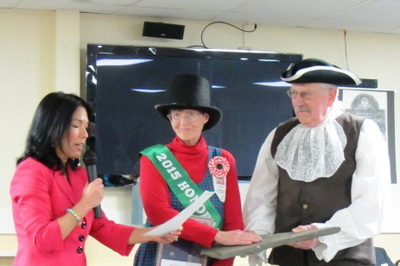 Town Crier Wayne Perkins introduced Town Representative Keiko Orrall. 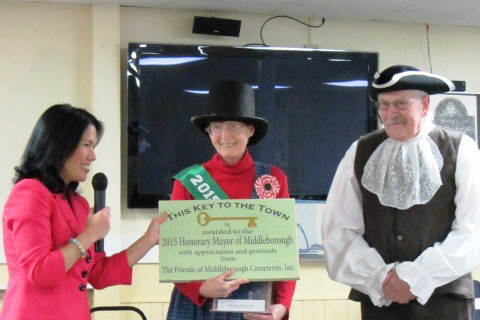 Keiko swore in the winner of the election, and presented Honorary Mayor Barbara Chadwick with the Key to the Town!